Corals are animals called “cnidarians”. In present corals form enormous reefs in the ocean, but during the dinosaur age that was not a case. 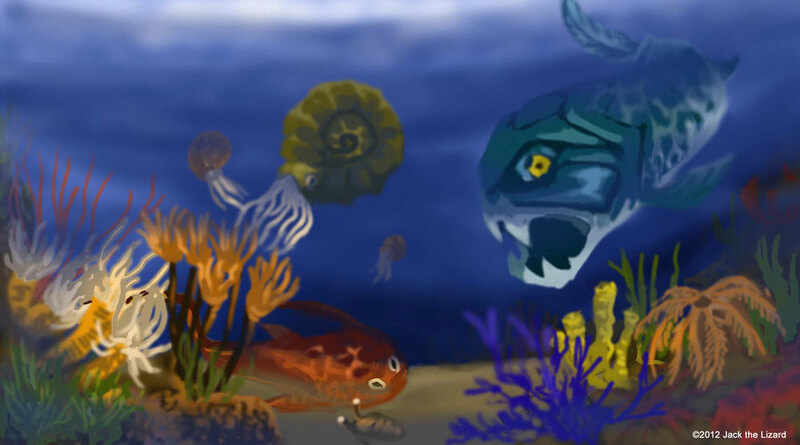 Rudists were the reef builders. 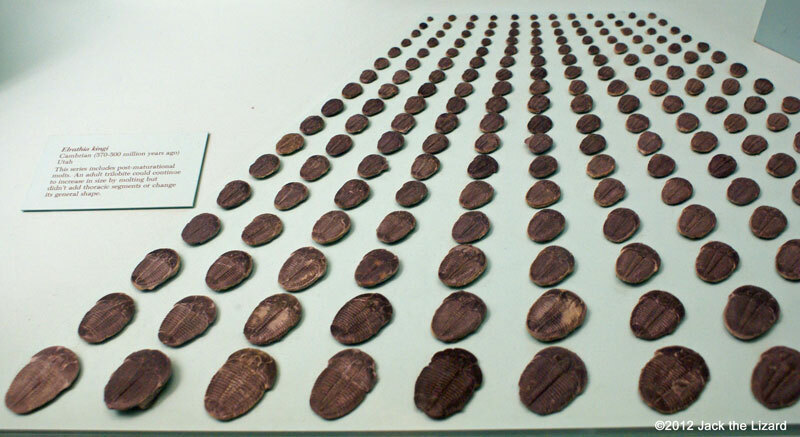 They are molluscs whose origin is traced back to the Late Triassic Period, 217 to 200 million years ago. 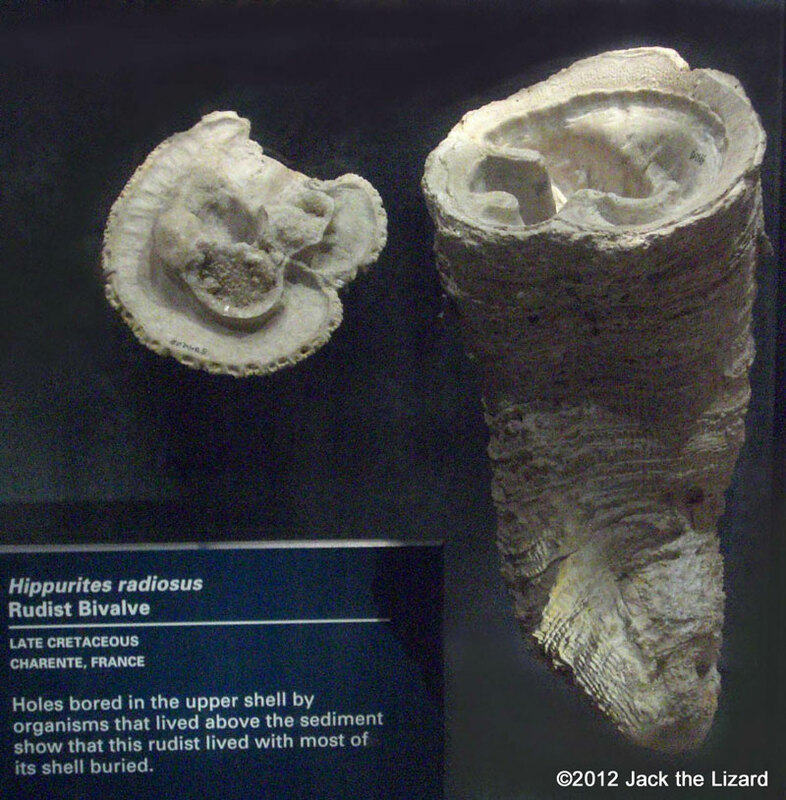 From the Jurassic Period rudists thrived in the ocean floor, but they had gone extinct around the end of the Cretaceous Period. Although rudists have two shells with a hinge like modern clams do, they do not resemble modern clams in appearance. Some of them are like ice cream corns while others are similar to cylinder shape. Squids are relative of ammonites. They appeared during the Early Jurassic Period. 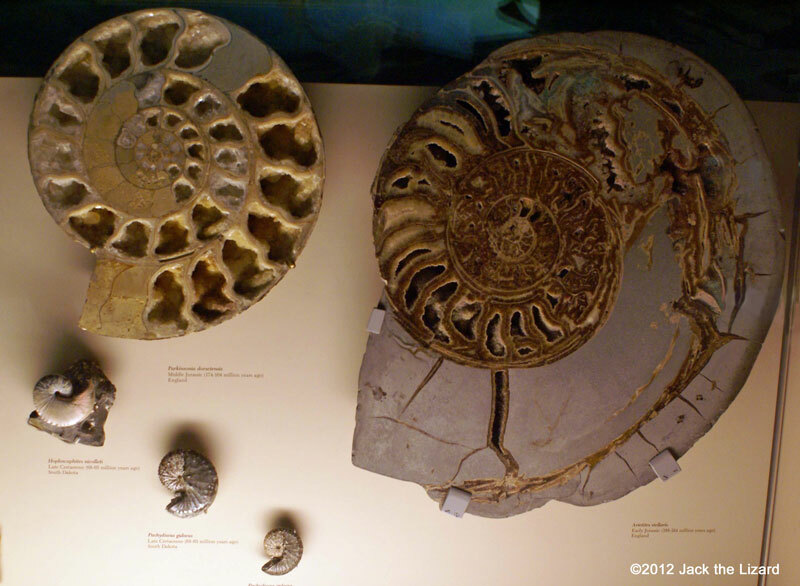 Ammonites appeared in the Devonian around 400 million years ago and proliferated in the oceans all over the world, but they had gone extinct at the end of the Cretaceous. Both ammonites and squids are Cephalopoda. They swam by jet propulsion to catch prey or run away from predator. The structure of the shell is very efficient for enduring the water pressure at depth. 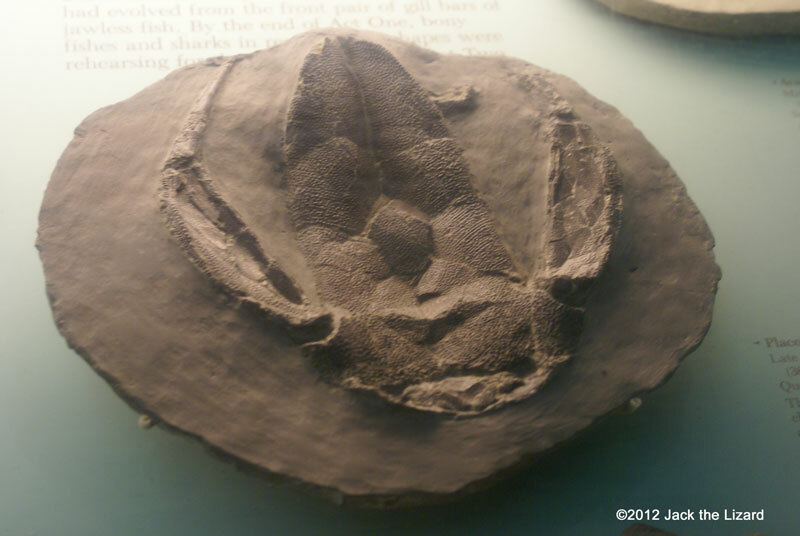 Trilobites shed their exoskeletons to grow, just like modern day horseshoe crabs do. Each time old exoskeletons left behind as they grow. 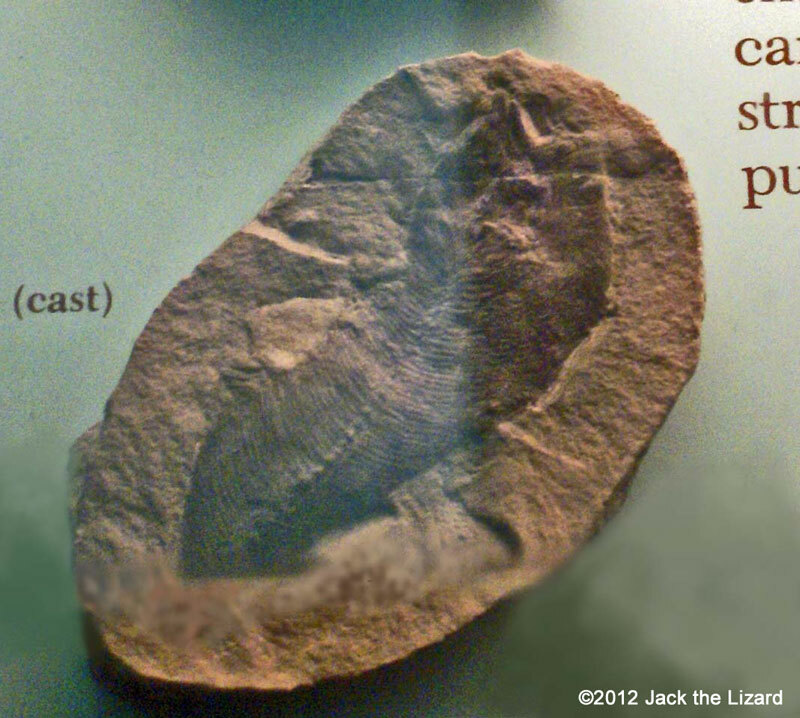 That is why we can see the development of trilobites. 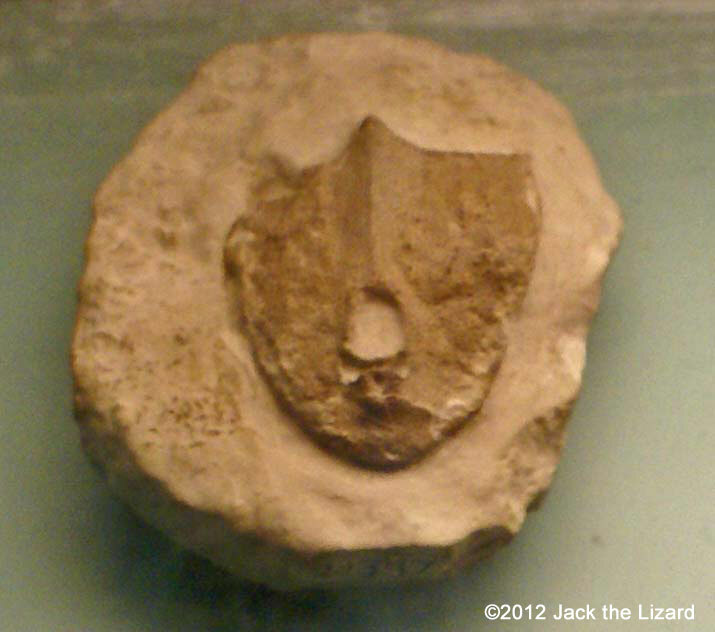 Jawless fish called the Agnathans that were the first vertebrates had appeared on the Earth during the Cambrian Period. The Agnathans includes two groups, Cyclostomes and Ostracoderms. 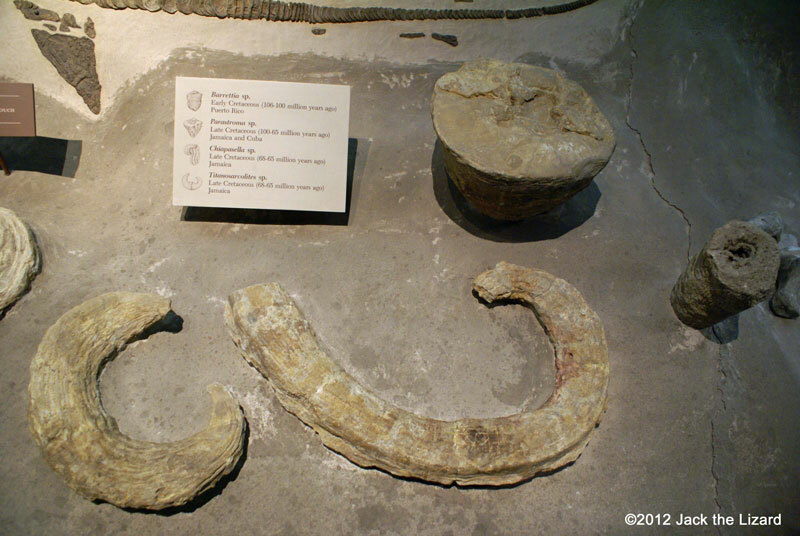 Some Cyclostomes such as lampreys and hagfish still survive now, but Ostracoderms were all gone extinct. Jawless fish had mouths for sucking and filtering and probably lived bottom of the water. Most of them had covered their heads with bony armors. Dartmuthia had a mouth under side of the head to gulp up clams and probably stayed at the ocean floor. Unlike other jawless fish Rhyncholepis did not have a large head shield, but very small scales covered their heads instead. Drepanaspis had a mouth faced upwards not downwards. They had lived in sea and estuary. 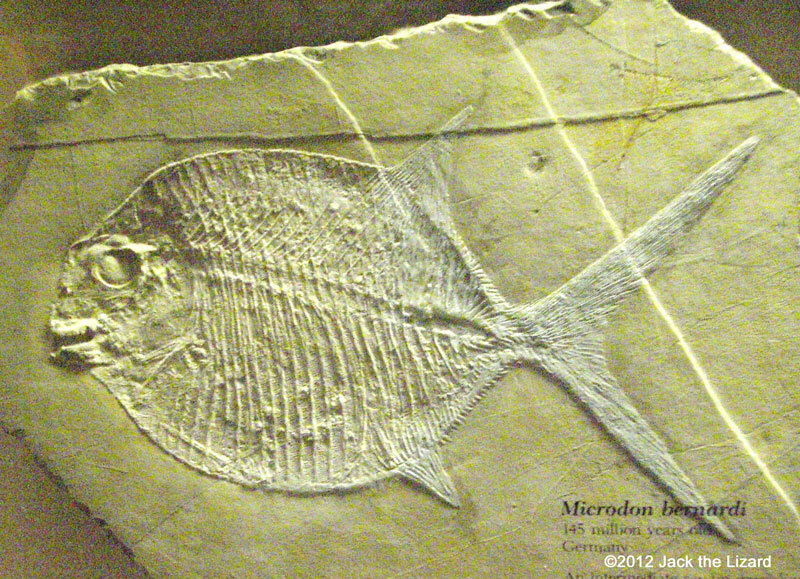 The First jawed fish, called placoderms appeared during the Late Devonian Period. It is still unclear why and how jaw had evolved. One hypothesis is that jaw had come from gill arch to increase food source or respiration efficiency. Either way the birth of jaw is the very important step for every vertebrate. 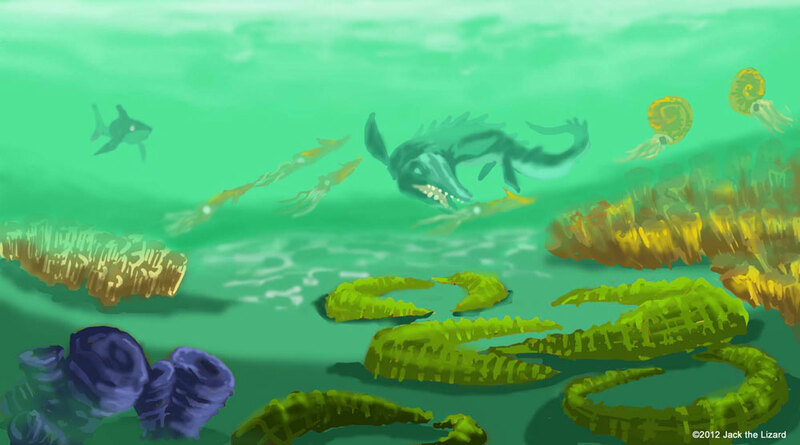 Bothriolepis had swum in the flesh water such as lakes and rivers. Two parts of bony shield cover their head and trunk. Presumably they were bottom feeder eating invertebrates hiding in the mud or sand. 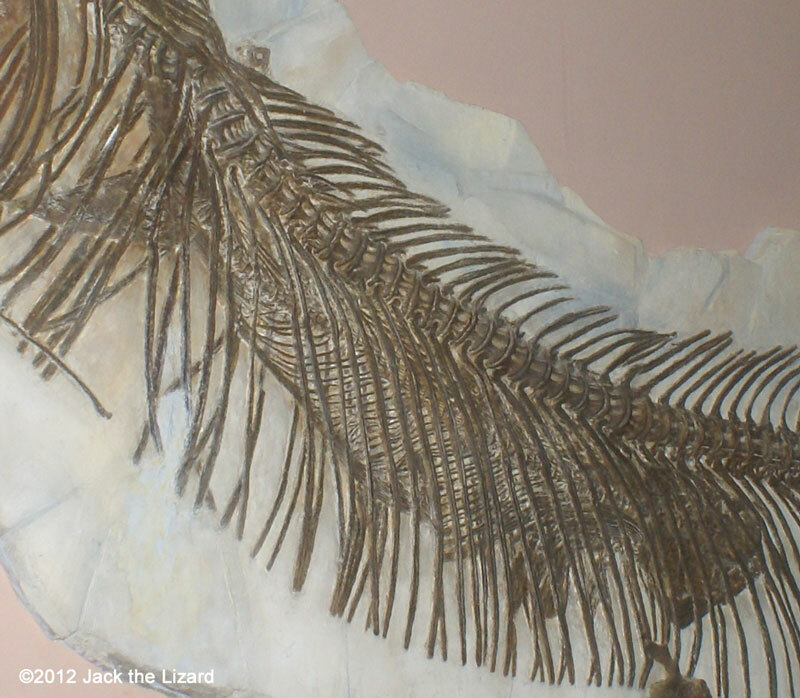 Their fossils are discovered all over the world including Antarctica and 100 species are known. 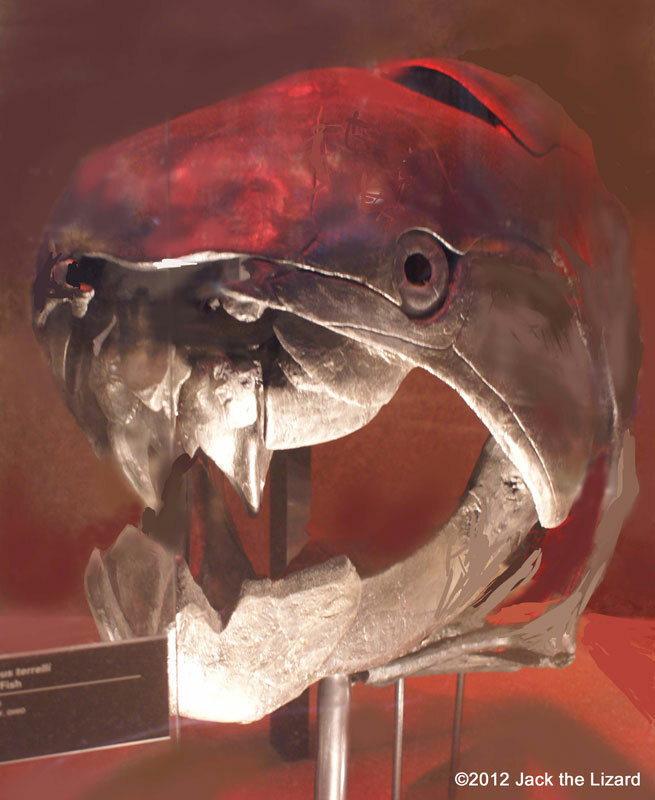 Dunkleosteus terrelli was probably one of the largest predators, about 7.5m (25ft) long, in the Late Devonian Sea. Although they did have jaw, they did not have teeth. The edge of jaw bones functioned like sharp scissor. They likely had eaten sharks, squids and fishes. Bony fish called Osteichtyes are fishes that have an internal skeleton of bone. On the other hand Chondrichthyes such as sharks and rays are fishes that have cartilaginous skeleton. Bony fish is the most abundant fish today and generally broken up into two groups, lobe-finned fish and ray-finned fish (But Tetrapods can be included). Living lobe-finned fish are only coelacanths and lungfishes. 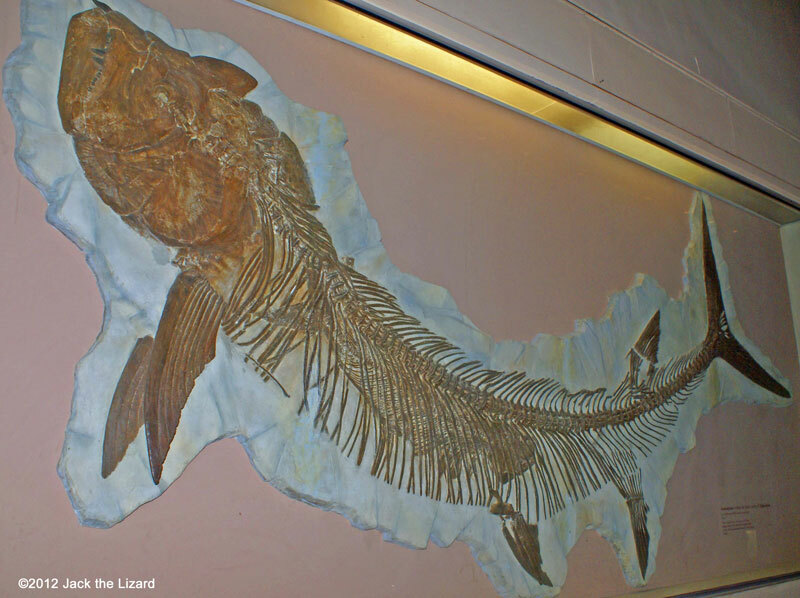 Contrary ray- finned fish have been diversified since the Devonian Period and more than 23,000 species are living now. 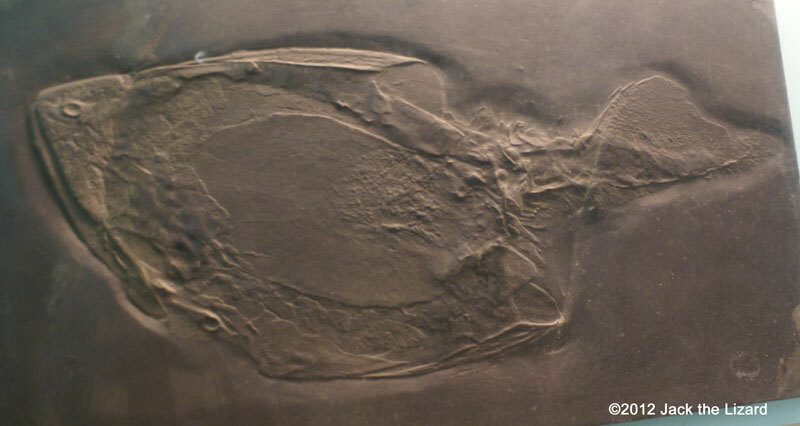 Other than bony skeleton ray-finned fish have some characteristics such as upper jaw bones (the maxilla and premaxilla) that are not attached to the skull, fins with bony spines and the bladder which gives them buoyancy and balance in the water. Ray-finned fish can swim fast and catch preys with those features. 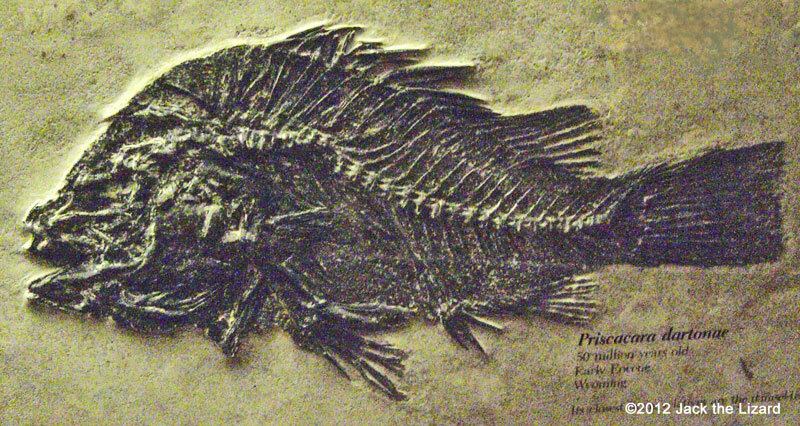 Primitive ray-finned fish have generally hard bony scales called ganoid. Advanced ray- finned fish have thinner and flexible scales, called ctenoid and cycloid, which reduce water resistance rather than protection from predator. Lobe-finned fish are also called Sarcopterygii which includes coelacanths and rhipidistia. Tetrapods, vertebrate animals with four limbs include human, have been evolved from rhipidistia. 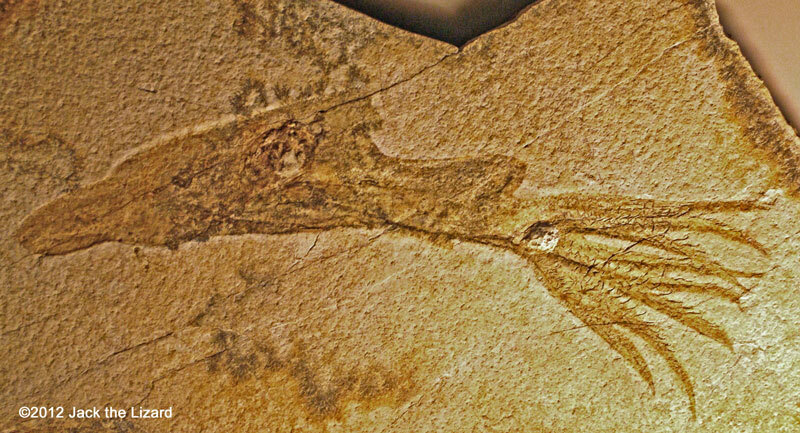 Rhipidistia had started adapting to the life on the land during the Devonian Period. Squalicorax is closely related to modern great white shark. Like other Chondrichthyes only vertebrate and jaw were remained, because their skeleton was made of cartilage which was not firm enough to be fossilized. Squalicorax was only seven feet long (2m), but with triangle serrated teeth it could compete with reptilian predator in the ocean.